Bits: the best Amex MR redemption is dropped, don’t appeal your BA compensation! Once a year I publish this list which ranks American Express Membership Rewards redemptions in terms of ‘value per point’. It is clearly very subjective but – on my maths – the best deal was, surprisingly, Melia Hotels redemptions. You could redeem Membership Rewards points for a voucher for a free night – 14,000 points for Grand Melia down to 5,500 points for a Sol Hotel. I reckon that you would easily get 1p per Membership Rewards point at those prices, and probably more. The problem was that the booking process was complex and not well explained by Amex. You had to ring Melia and speak to an agent who had probably not heard of this offer. They had to find availability and reserve your room. After that, you called Amex and ordered a voucher which you presented at the hotel at check-in. Melia Hotels redemptions have now disappeared from the Membership Rewards website. 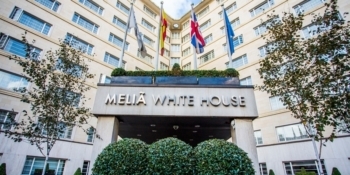 This is a little odd as Melia has been deepening its Amex partnership and now offers Melia Rewards Gold status to Amex Platinum cardholders. My best guess is that the vouchers proved too complex to use and were causing negative feedback. PS. A review of Melia’s smart new INNSIDE hotel in Hamburg will appear next week. Why you shouldn’t appeal your BA compensation! A friend of mine recently flew British Airways First Class. After a litany of issues, including BA only loading one fish plate for a cabin of nine people and only loading one bottle of a particular wine, he wrote to complain. Apparently he can have the 10,000 Avios back if, at any point in the next 12 months, he changes his mind and decides that it is suitable compensation. PS. I have, in the past, received a written complaint from BA for referring to Avios as ‘Avios points’, which apparently they are not. It seems no-one told the app development team. OT – those with an AwardWallet account, have you received the email about FoundersCard? I know it’s US only but wouldn’t it be great to have something like this in UK? Over $10,000 of account credits and complimentary subscriptions including MR PORTER, Trunk Club, BMW, CLEAR, TripIt Pro, ShopRunner, and JetSmarter. Savings on business services and supplies from UPS, AT&T, Dell, Lenovo, Shopify, TriNet, LegalZoom. Doesn’t mention the actual elite level. I guess it’ll be the lowest one – i.e. BA Bronze and equivalent. The ONLY airline status is Cathay Silver (ie BA Bronze). The other airlines listed just give fare discounts, often restricted to ex US flights. OT. I booked a flight 2 weeks ago on the phone with BA using companion voucher. BA haven’t taken the voucher or the avios for the flight but the flights are showing on my BAEC account. 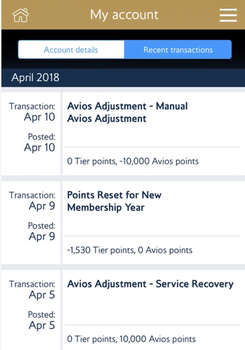 Do you think BA will take the avios and the voucher in the future or maybe just a glitch? Has it ticketed? Though even if ticketed, I’ve seen it where they haven’t taken avios or cash payment until later. +1 ring them and confirm, better than not getting the flights. Yes the flight is ticketed got the confirmation straight away, plus took the taxes aswell. Just thought it’s strange they haven’t took the Avios or the voucher. OT – seen BA have up to 40% off sale on CW/CE holidays until Monday. Any good? Article on Saturday I think. Many years ago on BA flight to Manchester, I left a brand new and expensive book on the aircraft. When I returned home I called the BA office in Manchester and spoke to someone who confirmed it was in their offices in Manchester. The following day I called again to confirm BA s postal address so I could send a padded envelope . The response was “what book ” ? I wrote to BA customer services to report the theft of my book from their offices and received a very sharp response advising that BA do not employ thieves and the matter was closed ! Back in my early days of flying I received an upgrade to business class on Air France. I left the last chapter of my book to read on the connecting flight to LHR, but accidentally left the book in one of the numerous extra business class storage holes when transferring. Had to buy the whole book again just to read the last chapter, but I just think of it as a very cheap upgrade to business class! Flying LHR to DUB with Aer Lingus a few year ago, I left my Surface Laptop in the back of the seat. I also moved seats to an exit row too. Arrived at customer offices about 1hr after landing and I got a phone call as I was walking in. It was Aer Lingus asking my name and did I leave my laptop on board. Thankfully I was able to collect it from them the following day when heading home. £0 cost. A colleague left his laptop at OSL airport when going through security. I picked it up for him the following day at the airport lost property and had to pay around £15 for collecting it.